In February 1937, the Berliner Heinz Fenchel disembarked at Haifa after crossing the Mediterranean Sea from Italy. 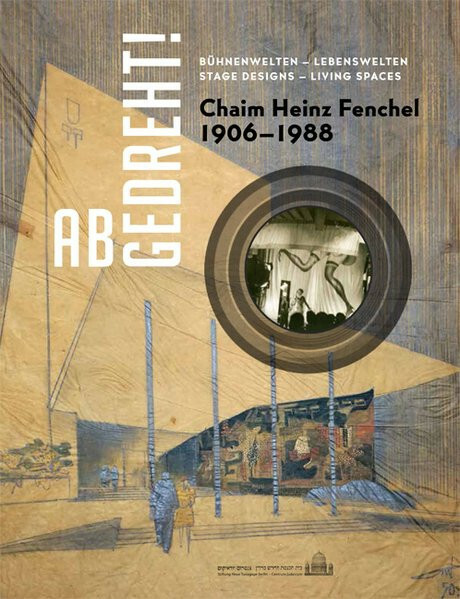 In Germany he had flourished as a sought-after set designer and designed the spaces for 45 feature films, for love stories and action movies, crime dramas such as the first German film adaptations of Edgar Wallace, and fast-paced big-city comedies, many set in the world of cabaret.Fenchel's career as a film architect ended in 1933 in Germany: As a Jew, he was forbidden to work. In contrast to many of his peers who sought film work in Hollywood, Fenchel chose to live in Eretz Israel, knowing full well that he would be unable to continue working as a set designer in a country without a noteworthy film industry.In Palestine's thriving metropolis Tel Aviv Fenchel began to make a name for himself as an innovative architect and interior designer of urban coffeehouses and bars, elegant businesses and private residences. Later he became famous for his designs and furnishings of luxury hotels - not only in Israel, but also in West Africa, where he designed huge hotel complexes. The aesthetic and architectural sensibility he brought to bear on these large, intricate building projects drew profoundly upon his first career as film set designer.Following the comprehensive exhibition An Artist's Paintbrush: Chaim Heinz Fenchel at the Rubin Museum in Tel Aviv (2012), Fenchel's designs for the film set as well as for living spaces will be shown for the first time in Germany at Berlin's Centrum Judaicum - New Synagogue Foundation.Chana Schütz ist Kunsthistorikerin und als Kuratorin der Stiftung Neue Synagoge Berlin - Centrum Judaicum verantwortlich für zahlreiche Ausstellungen zur deutsch-jüdischen Kunst und Geschichte.